(Newser) – An 11-year-old Massachusetts girl died early Friday after choking on a marshmallow at a friend's birthday party, NBC 10 News reports. According to WCVB, Iris Estabrooks dropped off her daughter Azriel at the party in Somerset last Saturday. 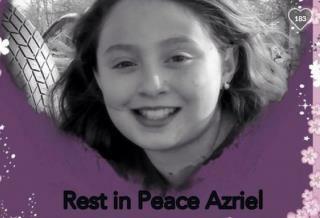 An hour later, she got a call that Azriel was unconscious. A number of party guests performed CPR on the girl before she was transported to the hospital, where a large marshmallow was found lodged in her throat. Azriel died without ever regaining consciousness. She had hit her head when she passed out, severely injuring her head, WPXI reports. Choose the form of the destructor! "that's what popped up in my mind." Did she want a black marshmallow and got a white one?